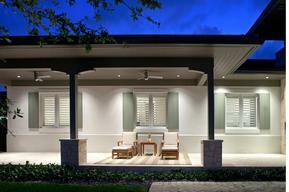 For Casement Windows in Tampa Bay and Sarasota, FL, Call Today and Get Your Free Estimate! 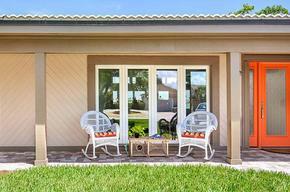 Our PGT and CWS casement windows offer a modern, sophisticated design that features maximum ventilation and uninterrupted vertical views for your Tampa Bay or Sarasota home. As a single panel window, the casement window is hinged on the left or right hand side and opens either left-to-right or right-to-left. A casement window is easily opened by turning a handle located on the frame of the window. When opened, a casement window panel opens outward to allow air to flow in, similar to how a door is opened. PGT and CWS casement windows are available in High-Impact Hurricane versions designed to exceed the strict demands of the Miami-Dade High Velocity Hurricane Zone (HVHZ) Building Code requirements and Non-Impact versions. To learn more about PGT and CWS casement windows, products available, and for a free estimate, call Hurricane Windows & Doors today! PGT 600 Series Aluminum Winguard Windows are the non-impact rated version of the 700 Series Aluminum Winguard. Using an impact rated frame and PGT’s superior insulated glass technology, the 600 Series windows are designed to handle wind speeds well above 140mph in most sizes, ensuring your home will be safe during high windstorms. This window is commonly used in replacement window applications where hurricane shutters have already been installed or will be installed by StormTek.